Of course you can still read the blog using the standard browser version if that’s your preference. This entry was posted in Beatles, Beatles Collecting, Beatles Music and tagged Beatles, Beatles Collecting, iPad, Music by beatlesblogger. Bookmark the permalink. Does it work for the iPod touch? How do I get the app…and the icon? 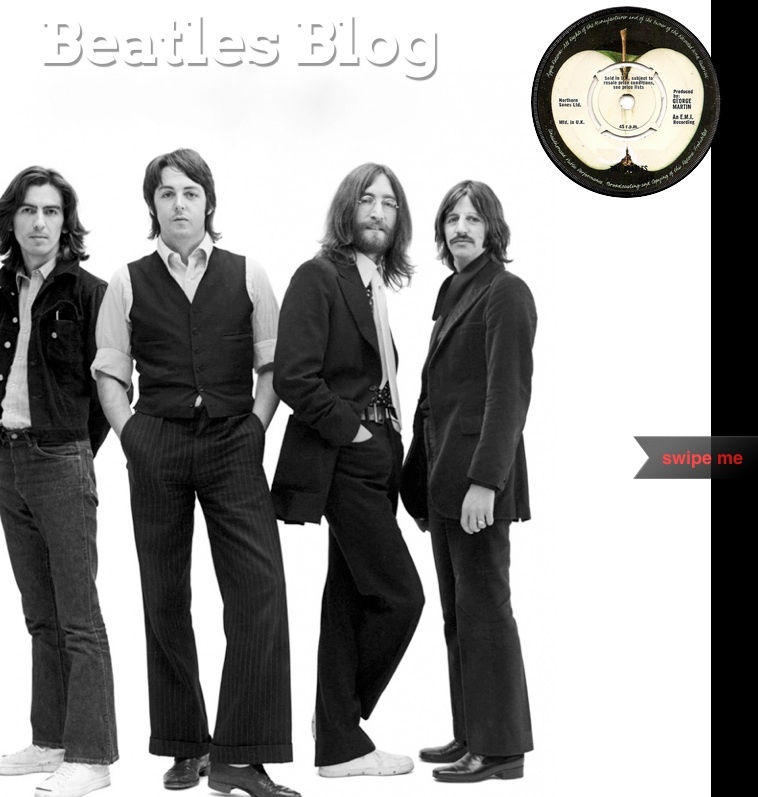 Hi, the app is available from WordPress, the blogging software I use for Beatles Blog. Anyone with a WordPress blog can set it up to be viewable in an iPad-friendly look and feel. To get the quick access icon for Beatles Blog on your iPad home screen just go to the site using an iPad, up the top left of the screen will be a small box with an arrow. Click on this and it will Open a dialogue box asking if you’d like to add an icon to your home screen. Simple. Cheers!